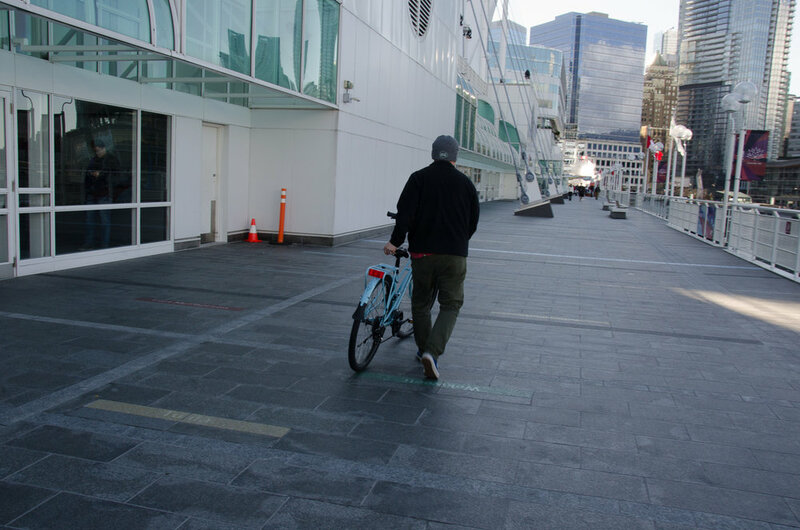 The Sterling is all the style and all the gears you need to cruise to work or to cruise your sea wall. 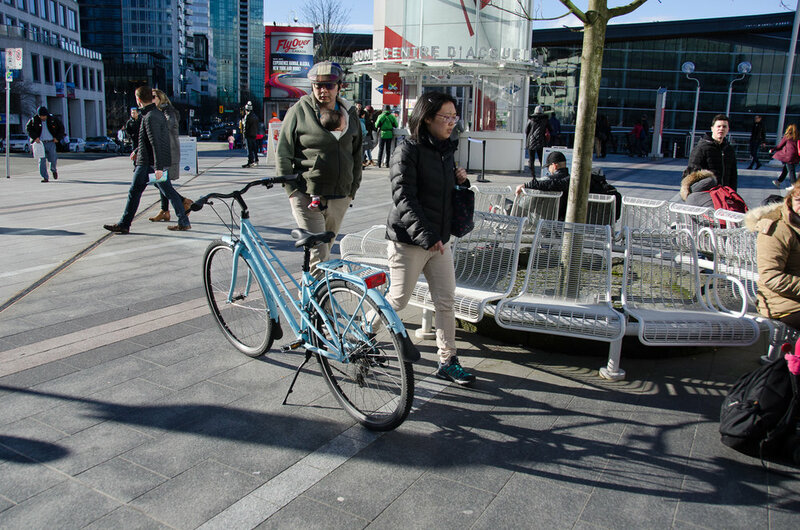 Where most cruiser style bikes have pedal-forward design, the Sterling keeps the pedals where you need them, making it easy to climb a hill or stand and pedal without hitting the bars or flopping the front end around! 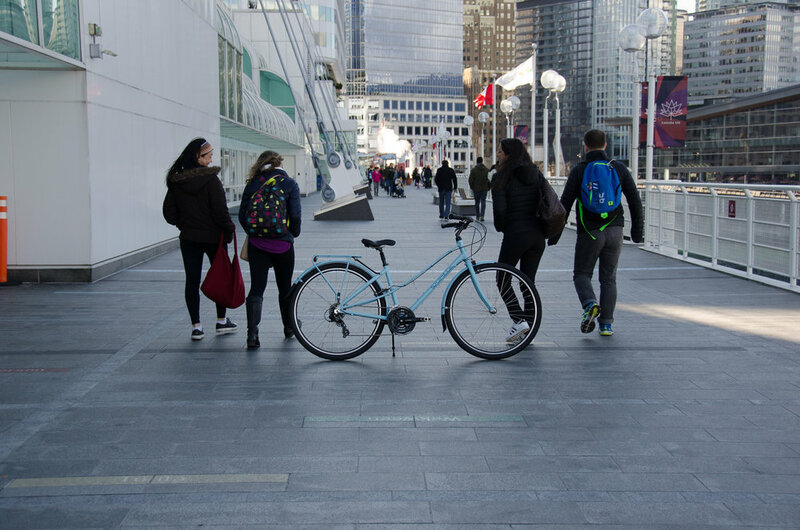 Perfect for short to middle distance daily commuters or casual riders wanting freedom to run errands, enjoy the sights, spin their legs and commute in their local community or across town. 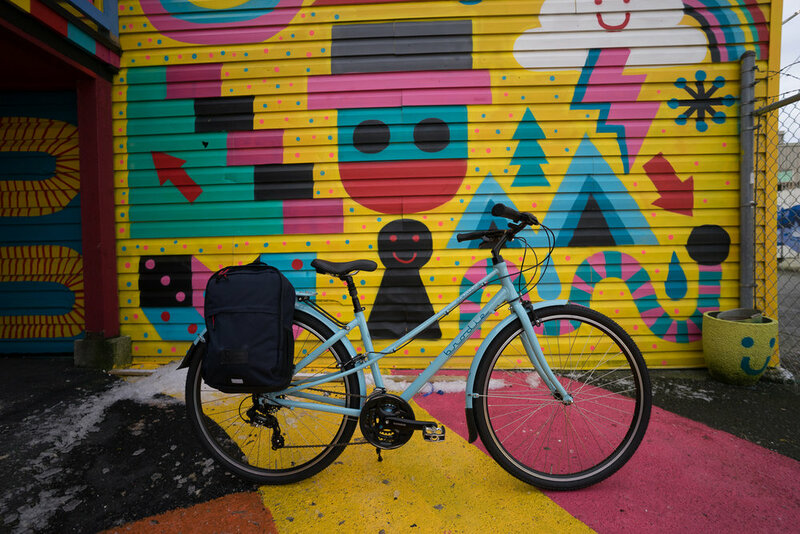 The Sterling comes with a rack to carry all your gear or to hook up a set of panniers, fenders because they look good and keep you dry, a kickstand so you can set it up and show it off and suspension seat post for extra comfort ! Function and good looks ! 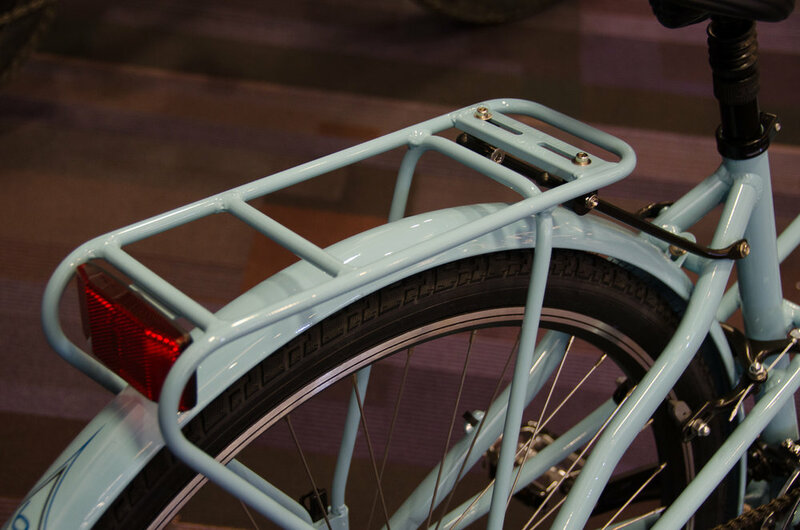 A very upright frame available with a traditional or mixte frame style for easy riding. Comfortable contact points, seat, grips, pedals. 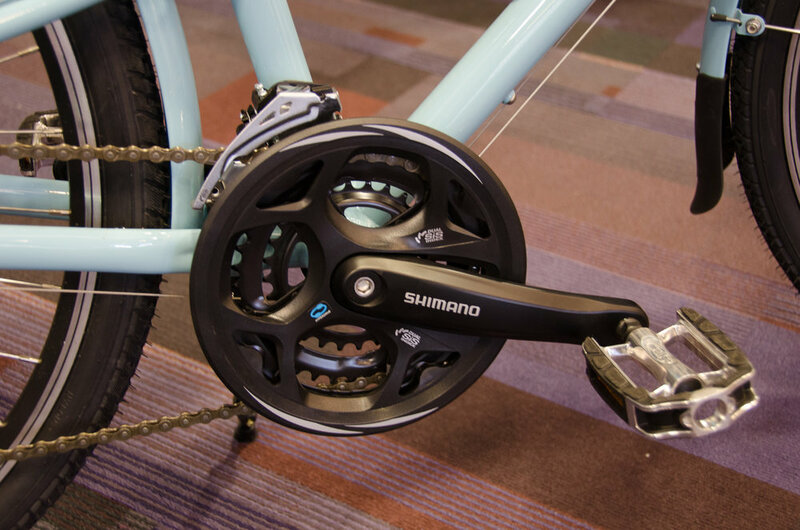 The Sterling Shimano drivetrain comes with a very wide range of gearing, and smooth rolling 700c wheels with high volume tires.